We like to think that everything we do embodies the laid-back Cornish lifestyle. From our use of Cornish suppliers, to employing local staff, we not only support our community, but also give our customers great, fresh food and efficient service. This is made even more enjoyable by our incredible view of Gwithian beach – call in today to see what you’re missing. From a full English to moules marinières, our extensive menu offers plenty of choice. Everything is cooked fresh from local suppliers; so if you have any dietary requirements, just let one of the team know. Our established Surf School provides exhilarating lessons for all ages and abilities, as well as equipment hire. 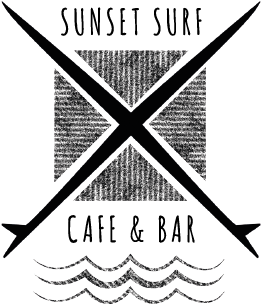 We are also home to an independent surf shop, supplying you with local and international gear. Our self-catering apartment next to the café offers incredible sea view accommodation in the heart of Gwithian Towans. With easy access to the beach and café, this apartment is perfect for a couples’ getaway. Smashing spot. Great coffee. Reliable breakfast and happy staff. We're regular eaters here!!! Can be busy peak season but happy to support them all year round..